There are a lot of white wine lovers who are loyal to the one and only Chardonnay. That’s not a bad thing, its just like the red wine lover who is loyal to Cabernet. It’s o.k., really – we all have our favorite drinks and foods. 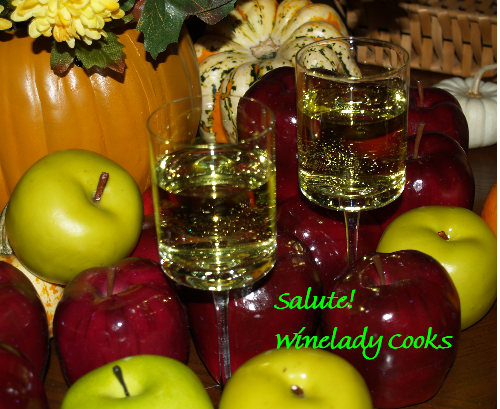 This week I’ve singled out Chardonnay only because we are closing in on Thanksgiving and many of the traditional foods we serve can be difficult to pair with wine. If you want to find a few dishes that will pair well with Chardonnay here is some information that may inspire you to make some “new” traditional holiday dishes. Chardonnay grapes are grown in different climates, cool and warm, and are fermented either in stainless steel tanks, oak barrels, and sometimes both. These conditions produce very different wines. Cool climate Chardonnay that is young and unoaked will have bright acidity with citrus flavors. Pairings: Steamed or grilled fish, pasta or risotto with vegetables accompanied by citrus sauces or dressings. Slightly warmer climate Chardonnays may be unoaked or lightly oaked from New World regions such as Chile, New Zealand and South Africa are more fruity and may have melon and peach flavors and will have a little more body. Pairings: Salmon with a butter-based sauce, pork, chicken and pasta with richer style sauces or dressings that include some butter or cheese. Full body Chardonnay that has been aged in oak barrels are higher priced and sometimes labeled ‘reserve’ can be from Burgundy (France), California and also from Australia and New Zealand. Pairings: Dishes made or dressed with rich sauces such as hollandaise or bernaise, grilled veal, pumpkin ravioli, butternut squash with toasted pine nuts or walnuts. Cheeses include provolone, parmesean, Gruyere, or mild cheddar. A few NO-NO’s with Chardonnay: smoked fish and meats, Asian style foods, goat cheese, seared tuna, tomato-based dishes.